At DirectIQ, we respect and protect the privacy of our customers and those who use our website. The following Privacy Statement provides details about how your personal information is collected and used. This privacy statement applies to the DirectIQ website, products and services that are located in, but not limited to the DirectIQ.com domain. DirectIQ is the sole owner of information collected on this site. We will not sell, share, or rent this information to others in ways different from what is disclosed in this statement. DirectIQ collects information from our users at several different points on our website. Our website offers several opportunities for visitors to register for promotional and informational mailings, online webinars and resources, and for assistance in evaluating our software and services. These registration forms enable users to opt-in to DirectIQ’s mailing lists and require users to give contact information (such as name, physical address, phone number, and email address) as well as other pertinent information (such as IP address, credit card information, gender, occupation, and other demographic information). We use this contact information to send information about our company and our products and services. Notice is given at the point of collection to enable users to choose whether or not they consent to the usage terms. Those who have signed up and subsequently wish to withdraw their participation may opt-out of receiving future mailings at any time (see the choice/opt-out section below). We also keep track of activity on our website via log files stored on our web servers. We collect information such as IP address, browser type and version, and pages you view. We also keep track of how you got to our site and any links you click on to leave our site. We use our logs of your website activity to assist us in offering you a personalized web experience, assist you with technical support, diagnose problems with our server, administer our website, and to tailor our product and service offerings to you. We take every precaution to protect the confidentiality and security of your personal information by using industry-recognized security safeguards such as firewalls, coupled with carefully developed security procedures to protect your information from loss, misuse or unauthorized alteration. When we collect sensitive account information such as credit card numbers, we protect its transmission through the use of encryption such as the Secure Socket Layer (SSL) protocol. DirectIQ takes care to reinforce the importance of our website visitors’ security and privacy among our employees. Our employees are trained and required to safeguard your information and, using physical, electronic and procedural safeguards, we restrict access to personal information to those employees and agents for business purposes only. Additionally, we use internal and external resources to review the adequacy of our security procedures. We will never share, sell, or rent your personal information with third parties for their promotional use. Occasionally, we enter into contracts with third parties so that they can assist us in servicing you (for example, providing customer service). The contracts prohibit them from using any of your personal information for their own purposes and they are required to maintain the confidentiality of the information we provide to them. We may also disclose information to partners who introduced you to DirectIQ’s services in order to ensure they are properly compensated for their efforts. Lastly, we may disclose or report personal information in limited circumstances where we believe in good faith that disclosure is required under the law. For example, we may be required to disclose personal information to cooperate with regulators or law enforcement authorities, to comply with a legal process such as court order, subpoena, search warrant, or law enforcement request. We use a variety of technologies on our sites. Among these are cookies: a text-only string of information that a website transfers to the cookie file of the browser on your computer’s hard disk so that the website can remember your browser in the future. A cookie will typically contain the name of the domain from which the cookie has come, the “lifetime” of the cookie, and a value (usually a unique number). When you visit our website, open our email, or encounter our services online (perhaps on a customer’s website) we may send you a cookie. Cookies may be used in many ways: they allow us to verify the login status of customers using products or services linked directly with our website, track point of entry to point of registration for those users participating in our affiliate signup programs, and track and measure the success of a particular marketing campaign. Cookies also allow us to track overall site usage and determine areas users prefer, enabling us to make your visit to our website easier by recognizing you when you return and helping to provide you with a customized experience. Usage of a cookie is in no way linked to any personally identifiable information while on our site. You have the ability to accept or decline cookies by modifying the settings in your browser. If you choose to disable cookies, you may still use our site; however, you may have limited access to some areas within our website. For more information on how to manage cookies in your web browser, see www.aboutcookies.org. Some of our web pages, emails, and other online content may contain electronic images known as web beacons, also known as single-pixel GIFs, which are invisible graphical images. These web beacons allow us to count users who have visited our web pages, seen our ads, or opened our email. Web beacons collect only limited information, such as a cookie identifier, time and date of a page being viewed, and a description of the page on which the Web Beacon resides (the URL). When we send you emails, we may include a web beacon to allow us to determine the number of people who open our emails. When you click on a link in an email, we record this individual response to allow us to customize our offerings to you. Web Beacons cannot be declined when delivered via a regular web page. However, Web Beacons can be refused when delivered via email. If you do not wish to receive Web Beacons via email, you will need to disable HTML images or refuse HTML (select Text only) emails via your email software. DirectIQ’s Anti-Spam policy tolerates only permission-based email. In addition, users always have the opportunity to opt-out or change preferences via a link in the footer of all non-transactional email messages. These options are made available when you sign-up for our email lists and in email messages delivered from our company. Alternatively, you may email us at support@www.directiq.com. If you believe that you have received an unsolicited commercial email from DirectIQ on behalf of any of our customers, you may report it to us at abuse@www.directiq.com. Some communications (e.g. important account notifications and billing information) are considered transactional and are necessary for all DirectIQ customers. You must cancel your DirectIQ account to unsubscribe from these communications. To cancel your DirectIQ account, please email us at support@www.directiq.com. Some of our sites provide links to third-party websites, such as those of our business partners and online advertising partners. While on these sites, DirectIQ or its partners may collect information about you. 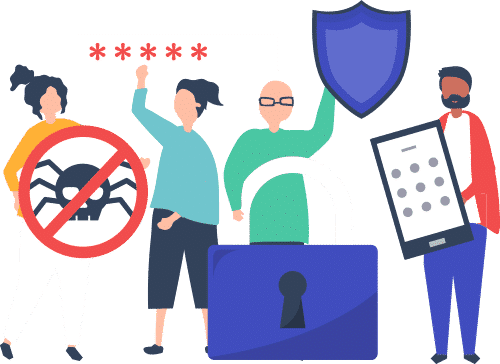 Because DirectIQ does not control the information policies or practices of these third parties, you should review their privacy policies to learn more about how they collect and use personally identifiable information. Our Website, products, and services are not intended for persons under the age of 13. We do not knowingly collect personally identifiable information from children under the age of 13. If a parent or guardian becomes aware that his or her child has provided us with personal information without such parent or guardian’s consent, he or she should contact us. If we become aware that a child under the age of 13 has provided us with personal information, we will delete such information from our files. Our headquarters are located in the United States of America. Personal information may be accessed by us or transferred to us in the United States or to our affiliates, partners, merchants, or service providers elsewhere in the world. By providing us with personal information, you consent to this transfer. We will protect the privacy and security of personal information according to this privacy statement, regardless of where it is processed or stored. However, you explicitly acknowledge and consent to the fact that personal information stored or processed in the United States will be subject to the laws of the United States, including the ability of governments, courts, law enforcement, or regulatory agencies of the United States to obtain disclosure of your personal information. For the purposes of European Directive 95/46/EC and applicable national implementing laws in your jurisdiction, with respect to your data, we are a data controller; with respect to your customer’s information, we are a data processor.